The guest accommodation consists of 2 private self contained cottages in the garden, one of which, The Barn, caters for 2 people and features its own kitchen, additionally the Barn also has an en-suite shower room. The other room, The Cottage, also offers cooking facilities and consists of 2 bedrooms, allowing up to 5 guests to sleep in comfort. Downstairs guests will find a double room, lounge area and shower room, upstairs is another bedroom which can sleep up to 3 children. 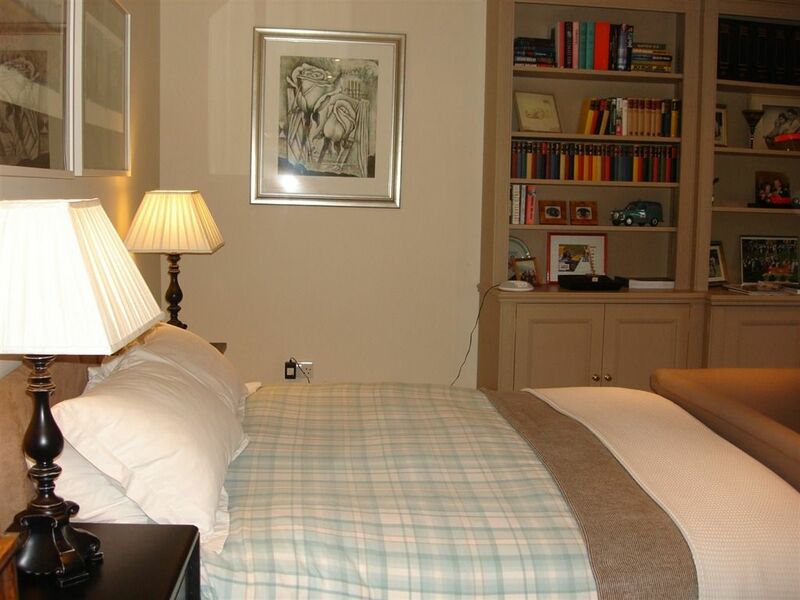 Both rooms also offer guests TV's, Hospitality trays (tea coffee & biscuits), Hot water bottles, i-pod docks and a selection of books and magazines. You are provided with everything you need to make breakfast in the rooms. This includes pastries, yoghurt, fruit, milk, eggs, butter, jam and a selection of cereals. In the local village of Froxfield you will find the "Pub with no name" which takes a great deal of pride in promoting the traditional aspects of the old fashioned pub and serves great food. Being just 4 miles from A3 and mainline station we are easily located but far enough away to feel like you are in the heart of the tranquil Hampshire countryside. There are many country paths surrounding the property, or a little further afield you will find the South Downs Way, making us brilliantly located for walkers and cyclists. Well behaved dogs are welcome, but please let us know in advance if you wish to bring them, we charge £8 per night for this. Please note that although we can accept credit / debit cards this is by prior arrangement only. We are situated on the edge of the beautiful South Downs National Park. The village of Froxfield itself is relatively small but does have a fantastic traditional pub. Going slightly further afield you will find almost everything you need in Petersfield, less than 5 miles away. We are well situated for the following destination, Goodwood, Winchester, Portsmouth, Guildford, Chichester, Fontwell Race Course, Birdworld, Alice Holt Forest and of course day trips to the Isle of Wight.